Click on book covers for more info. Read the Bible Again for the First time. Discovering New Insights In Familiar Passages: What if the way you have always heard or understood a portion of scripture keeps you from seeing something new that could change your life? Every chapter in the Fresh Eyes Series will leave you thinking, I never saw this passage that way before! Even better, each chapter will show you how to gain transformative new insights on your own that you can share with others. This is a primary tool for life-reorientation around prayer and the Word of God. It is an 85-page full-color guidebook that is used for personal study, small groups or seminars. Click on the heading or book cover to see more details. Somewhere between timid petition and presumptuous claiming there lies a realm of prayer in which a person finds the confidence to ask and not doubt. How can you find that place? The kind of confidence we need comes from understanding what God accomplished through the saving work of Jesus Christ. Just Ask: Volume One exposes the reader to the concept of salvation paradigms and introduces five paradigms that cluster together under the banner of reconciliation. Each chapter concludes with helpful summaries and numerous examples to reinforce the discovered and practice more confident prayers. 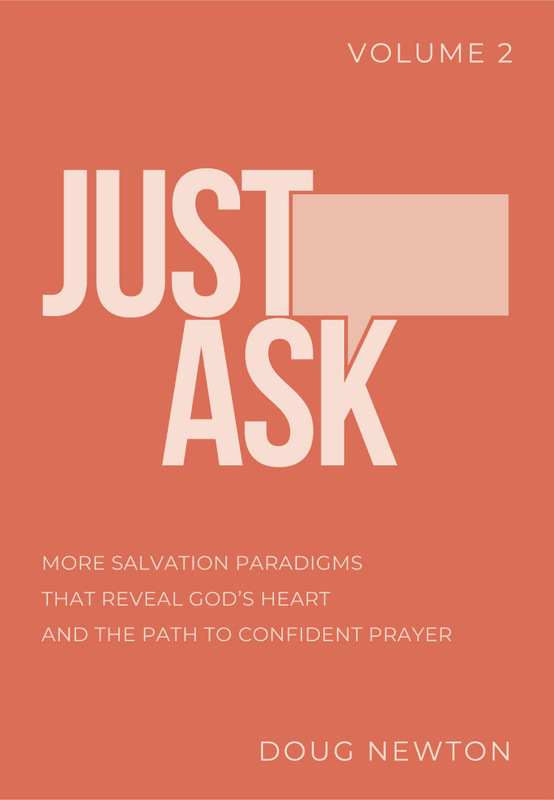 Just Ask: Volume Two explores the salvation paradigms that have to do with redemption. The series is proving helpful to many people as they discover how a broader view of salvation reveals the heart of God and results in greater confidence in prayer. 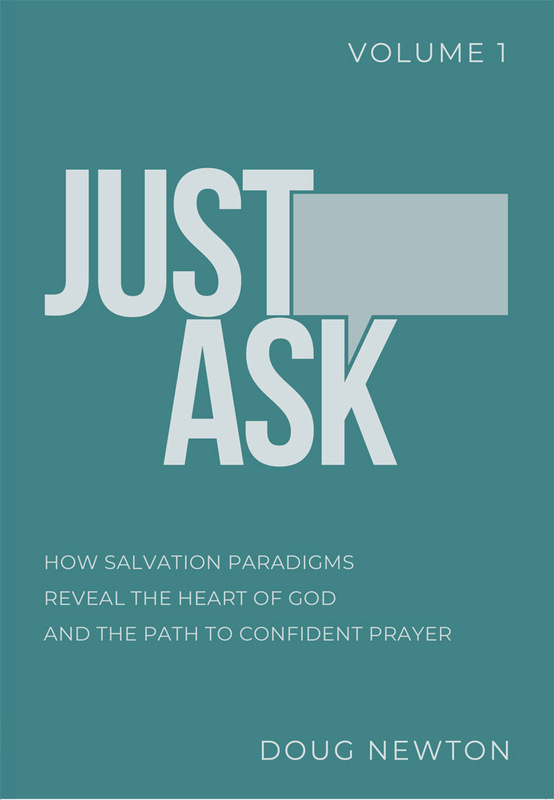 Just Ask: Volume Three explores the salvation paradigms that have to do with revelation. God's work of salvation in Jesus Christ not only involves what God needed to correct, but also new "never-before-possible" realities He was wanting to create. When we see what God has in store for our future, we can pray and cooperate in bringing that new reality about. Our culture used to produce people with moral virtues such as respect, honesty, courage, resourcefulness and gratitude. Not so much anymore. Why not? 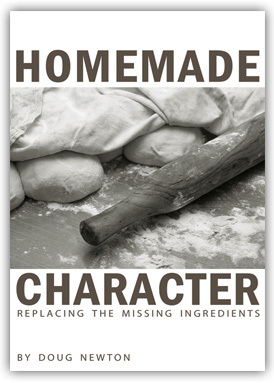 This book identifies the missing ingredients and shows you how to put them back into the mix of life--your family and yours. This is a collection of every editorial written by award-winning editor, Doug Newton, during his 15 years as editor of Light and Life magazine. His essays enriched, sometimes enraged, readers around the world. But still today people remark that these creative insights into the Christian life were always transformative in their lives. Blink With All My Might is a compilation of essays on moral character and its interface with culture and the Christian life. These essays combined with the interactive reflection questions, scripture and prayers after each essay provide a clear guide to developing character. Small groups find the books very useful too. Imagine being a fully-alive, and therefore, still curious human being who never died but was allowed entrance into heaven. Imagine the stories he'd have to tell. That was Enoch.